The newest Safari version for iOS enables users to close all browser tabs that are launched all together. This makes it a breeze to manage and end different browser sessions, rather than closing each tab manually. But like several iOS features, this option is less obvious, and users need to be aware of it. That said, it’s easy to get familiar with it. 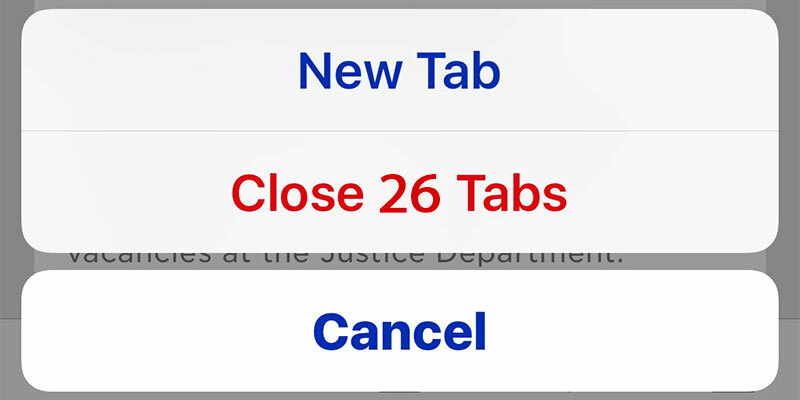 Follow the steps below to quickly close all tabs in Safari on iPhone, iPad or iPod Touch. Launch Safari on your iDevice if you haven’t already. Tap and hold tab icon (the two squares that overlap). Select “Close Tabs” from the menu. The selection will also showcase how many tabs are already open inside Safari. The feature is present in iOS on iPhone and iPad, but may appear different depending on the screen it is showcased on. Nevertheless, you will need to access the feature via a long tap and holding the browser tabs button for a while. And yes, the steps will close all browser tabs that were open inside Safari, leaving users with a blank screen. This can be quite useful if you were in Safari with a plethora of tabs opened, something that can easily happen with certain types of people, such as those who write content. And if all of this sounds a little bit familiar to you, it is because this isn’t the first time that a “Close All” tab has made its way in the iOS ecosystem on Safari. What you may not know that there was a time when this unique feature existed, but Apple removed it without giving any reason, only to reintroduce it in the modern iOS versions. The fortunate part is that browser tabs can be reinstated and closed again altogether. We don’t expect the feature to be removed in the future, but who knows?